/ What Exactly Are the Pros and Cons of Solar Energy? What Exactly Are the Pros and Cons of Solar Energy? It’s estimated that greenhouse gasses are 142 percent higher today, then they were before the Industrial Revolution in 1750. While many people, including the government, are making efforts to reduce carbon emissions, many claim the efforts aren’t enough. While this may be true, improvements are being made. More and more people are turning to solar power as a primary source of power than ever before. In fact, it’s estimated that the world will add 70,000 new solar panels, every hour, for the next five years. While this is true, you may still be on the fence about solar energy. This is understandable as it is still somewhat new when it comes to using it for a primary source of power. Keep reading to learn about some of the most important pros and cons of solar energy. When you are informed, you can make an educated decision regarding whether or not this source of power is right for you. One of the biggest benefits offered by using solar panels is that it’s a truly renewable source of energy. The sun is available all over the world, every day. Solar energy is never going to go away, unlike other types of energy used today. In fact, as long as the sun is shining, solar energy is going to be available. With scientists estimating the sun will be around for at least five billion more years – it’s a pretty safe bet when it comes to lasting power sources. One of the biggest objections people have to using the power of the sun is the high cost associated with purchasing and installing a solar power system. While there are some tax benefits of purchasing this technology, many claim it isn’t enough to justify the high initial cost. While this is true, solar technologies are constantly evolving. This has been proven with the introduction of Powered Portable Solar, which is a solar-powered generator that can be taken on-the-go. Due to this evolving technology, the cost is likely to be driven down due to the wider availability of the components in the coming years. Because you are going to be able to meet some of your electrical demands using the electricity produced by your solar system, your energy costs are going to fall. The amount you can save is dependent on the size of your solar system, along with the amount of electricity you use. In addition to saving on your electricity costs, you can also generate more electricity than you use. This surplus can be directed back to the grid, which results in you receiving payments for the excess power your home has generated. While solar energy is still able to be collected on rainy and cloudy days, a solar system’s efficiency is dependent on the presence of the sun. As a result, a few rainy or cloudy days may significantly impact the amount of energy produced by your system. You also need to consider that energy isn’t collected at night. Be sure to keep this in mind when considering a solar panel system. Solar energy can be used for a wide array of things. You can generate heat or electricity, and it can be sued for producing electricity in areas that don’t have access to the grid. Even better, solar power is a viable option for regions where there is limited clean water and can even be used for powering satellites in orbit. The more electricity that you want to produce, the more solar panels you are going to need. However, modern solar panels are large. As a result, they take up a lot of real estate. You need to consider how much space you have and how many panels you want. This will help you figure out if solar power is a viable option for your home. In most cases, a solar energy system isn’t going to require much maintenance. Your main job will be to keep the surface clean and free from debris. If you don’t have time to do this on your own, there are professional cleaning services out there that can help you with this. Also, the majority of quality solar power companies are going to provide a generous warranty on the panels that are installed. This is mainly because solar panels don’t have any moving parts. As a result, wear and tear are minimal. While pollution related to solar panels is much less than other energy sources, it’s still related to pollution. The process of transporting and installing a solar system involves the emission of greenhouse gases. There are also some toxic materials, along with hazardous products, used when solar photovoltaics are produced. These can indirectly affect the environment in a negative manner. 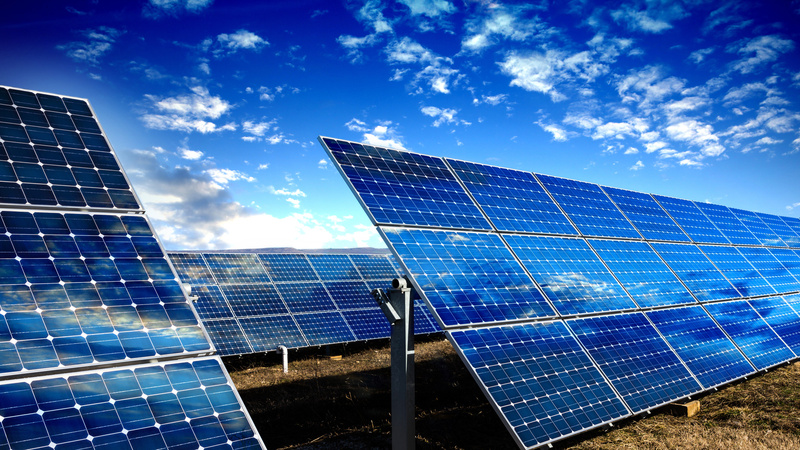 When it comes to pros and cons of solar energy, there are quite a few things to consider. Be sure to keep the information here in mind when you are considering this alternative power source. If you found the information here helpful, check out our information on remote access tools to help your business avoid being hacked. Our goal is to provide helpful and useful information four our readers.